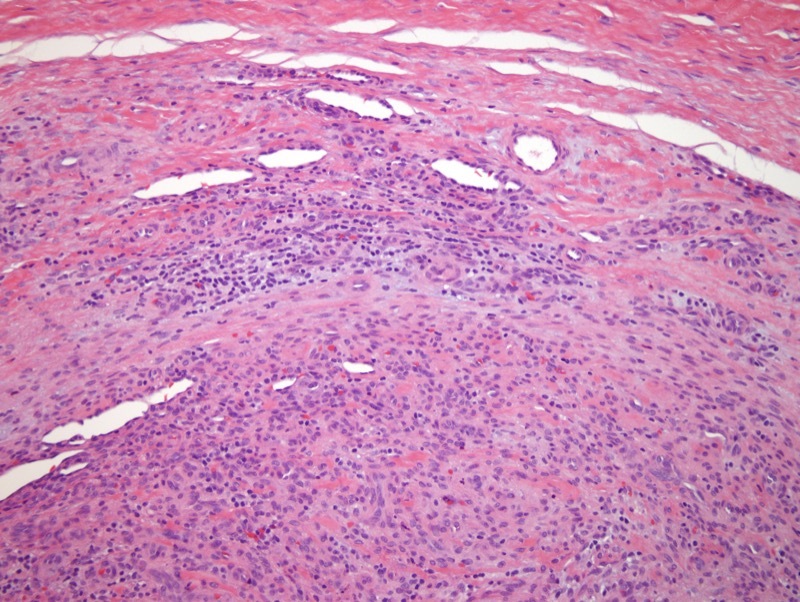 This condition presents characteristically as a mass on the temple whereby it is held to clinically represent a cyst. 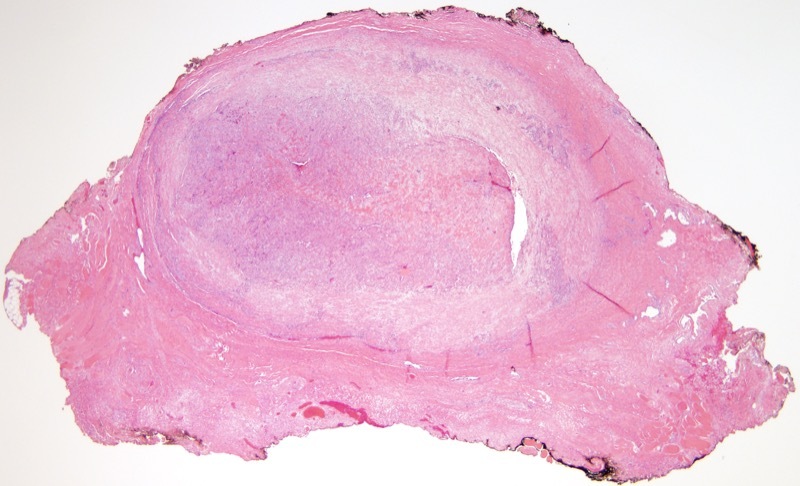 Juvenile temporal arteritis is unrelated to adult temporal arteritis which is an autoimmune reaction typically a Gell-Coombs type IV immune response targeting the elastic of the temporal artery associated with polymyalgia rheumatica. 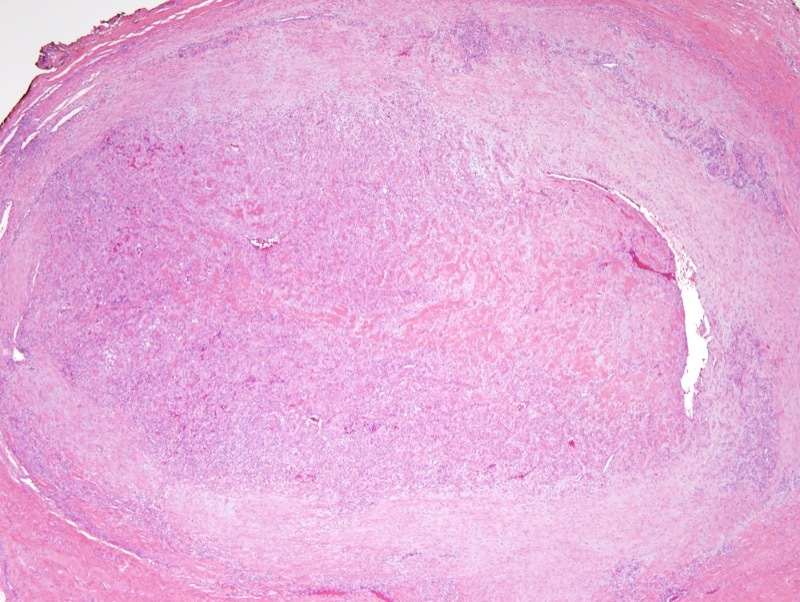 In contrast, juvenile temporal arteritis is held to represent an arteriocentric form of angiolymphoid hyperplasia with eosinophilia. 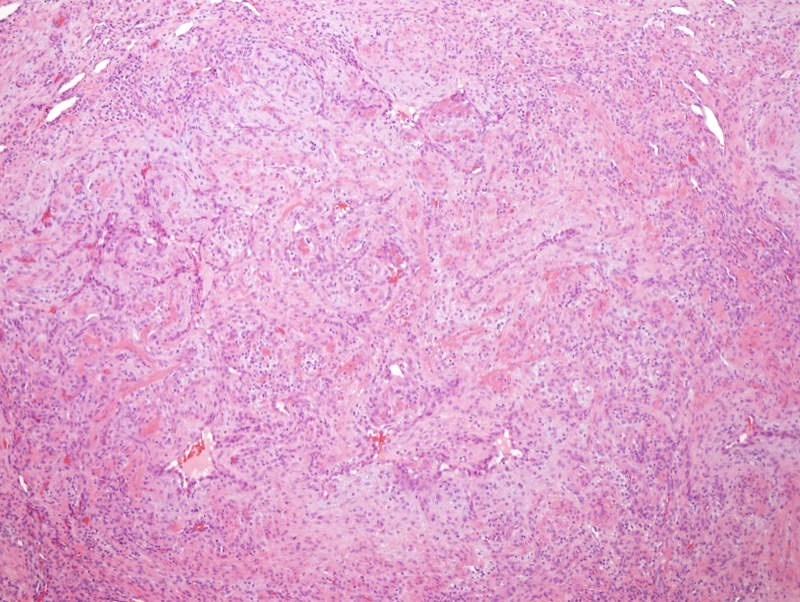 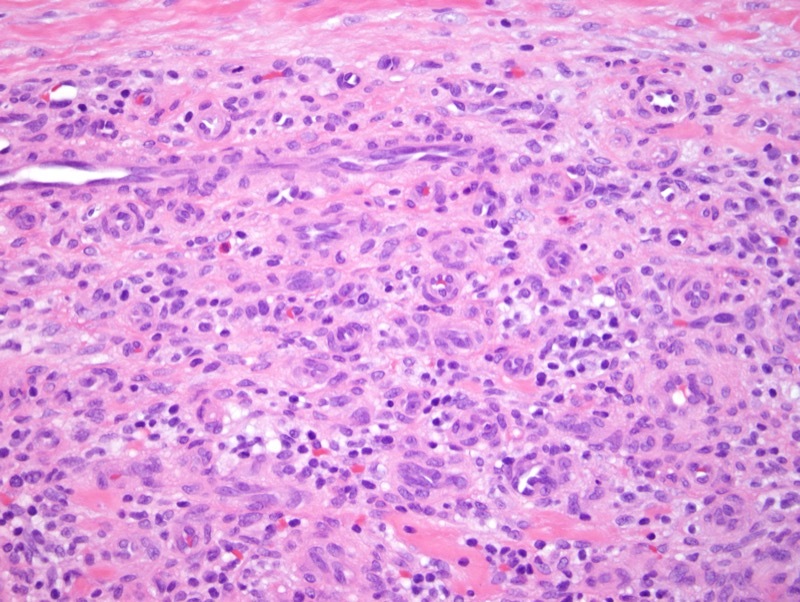 There is a component of neovascularization whereby the endothelial cells typically show a protuberant signet ring-like hobnailed morphology a finding that is very well exemplified by this arteriocentric variant of angiolymphoid hyperplasia with eosinophilia and certainly seen in this case.